Eating a low carb. high protein diet can be challenging, but a little creativity can go a long way. 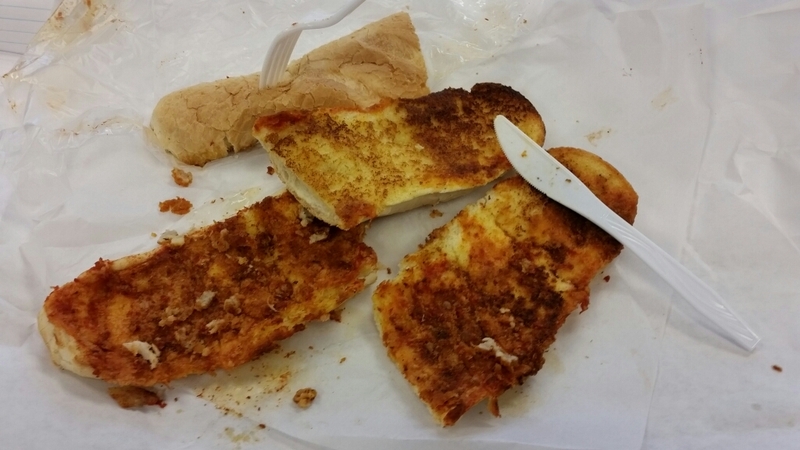 Here is what was left from my delicious Chicken Parmesan “Sandwich”. The trick was to get the large sandwich so there was enough food to fill me up without eating the bread. The delicious, fresh-baked, bread…. Previous PostReward YourselfNext PostWhich Famous Wild West Gunslinger Am I?